If your home was built before 2000, there’s a chance that you might have asbestos guttering. Lots of people have heard of asbestos but are unsure about what asbestos guttering is and what to do if they find out that they have it fitted on their property. If you’re in the same boat, we’re here to help. 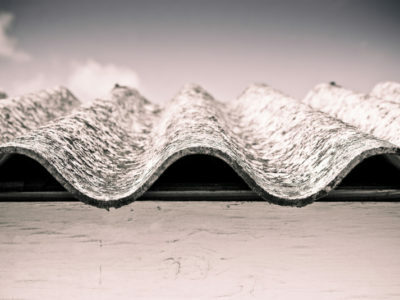 Read on to learn more about asbestos guttering and whether to get it removed. Asbestos is a natural material. It consists of lots of tiny fibres that are very small and strong. Asbestos started to be used as a construction material in the UK in the 1930s as it’s fire-resistant and a good insulator. However, it was later discovered that it could cause fatal respiratory diseases if breathed in. Its use was outlawed in the UK in 1999. Because lots of houses in the UK today were built between 1930 and 1999, it’s a common occurrence to find asbestos in domestic properties. It isn’t harmful if it’s in good condition – only damaged or broken asbestos can release fibres that cause serious illness if breathed in. 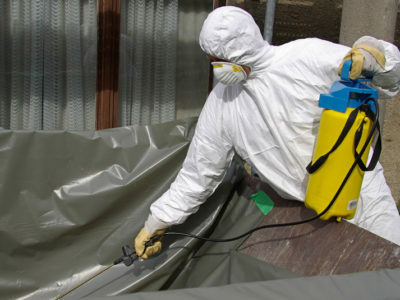 However, this is a risk that many don’t want to take and lots of people get asbestos removed from their home as soon as they find it. Asbestos guttering is guttering made from cement that contains asbestos. It was mixed into cement to make it stronger. Asbestos guttering is usually about 10-15% asbestos. The type of asbestos that is usually used in cement guttering is called chrysotile. This is commonly known as white asbestos. 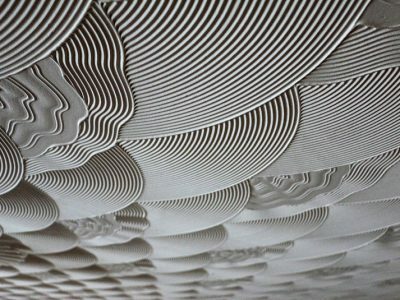 It is a greyish white colour and has a strong but flexible structure. Should I get asbestos guttering removed? Guttering with asbestos in isn’t dangerous in itself so if you have it on or near your home, don’t panic. However, it can be hazardous if it’s worn or damaged. 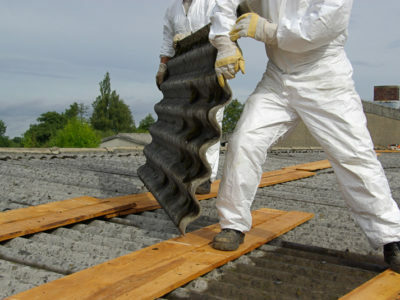 Cleaning asbestos guttering can be dangerous as it is very fragile. Instead of using pressure washing or dry scraping, it should be cleaned using biocides or remote cleaning. As cleaning and working around asbestos guttering can be hazardous, many people choose to get it removed as soon as they find it. This can be a dangerous job and should only be carried out by professionals. If you have asbestos guttering that you want removing, make sure you get quotes from several contractors. This will help you to get the best service for the right price.